AT THE end of last year, Andrea Chapman walked into Bolsover Dental for her regular check-up and walked out with an art commission. 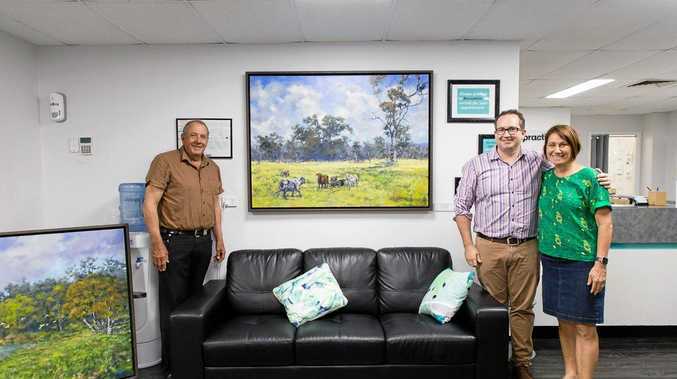 The Allenstown artist and art teacher saw the blank spaces on the newly renovated dental office's walls and commented to her dentist Carl Daniels that a splash of colour was needed. Dr Daniels had been a long-time fan of Mrs Chapman's work and decided to approach her about doing a piece that was personal to him. "He drove me out to his father Wayne Daniel's cattle property. It meant something to them and to be soaked up in the Joskeleigh landscape was just amazing,” she said. The painting, She's on a Mission, features some of the family's cattle on a tranquil pastoral scene. "From the rolling hills right down to the beach front, from the wetlands to the bird-life, the changes were so subtle,” Mrs Chapman said. "I thought long and hard about the painting and I felt because there's children coming and going in the dental surgery, I wanted my work to engage children as well as adults. The property painting impressed Wayne so much that he commissioned Mrs Chapman to do another, Joskeleigh Wetlands. The painting features bird life including egrets, jabirus and brolgas enjoying the property's lagoon. 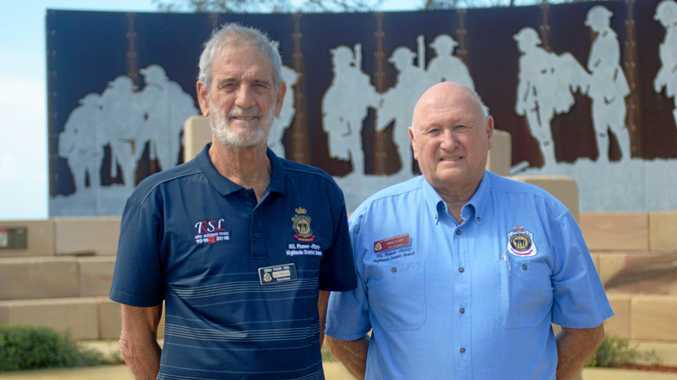 Mrs Chapman is a three-time recipient of the Martin Hanson Memorial Art Award's People's Choice award and is a finalist in the Rotary Art Competition for her piece on the Bundaberg drydocks, Slipway to Heaven.